Sea Scallops with Lobster Risotto; scallops pan seared in a lemon butter caper sauce served over a lobster risotto with chives and shiitake mushrooms. 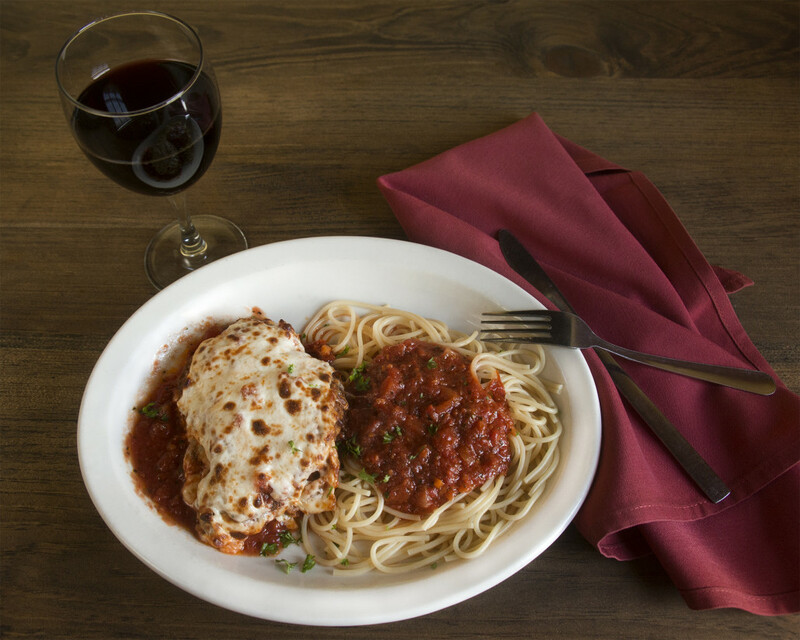 Local Eggplant Parmesan; locally farmed eggplant crusted with parmesan seasoned breadcrumbs layered with local tomatoes & fresh mozzarella over linguine marinara. Wolaver’s Pumpkin Ale & Lagunitas Undercover Investigation, $2 off per pint! Or for any wine enthusiasts out there we are offering all of our specialty red wines at a discounted rate. Now On Tap From Upper Pass First Drop! Open Mic Tonight New on Tap!